The paved road network in the Russian Federation is growing 7 times less per million people when compared to the developed countries in the USA and Europe. In fact, compared to the developed countries, the average speed of auto transport on Russian roads is 2 to 3 times slower owing to the large and frequent imperfections of the road surface. Now, a new concrete paving machine has been developed by researchers from South Ural State University (SUSU) that mainly modifies the methods of constructing roads and boosts the quality of the road surfaces. The Student Research Society of the Automobile and Tractor Faculty is being led by Evgeny Kromsky, Associate Professor of the SUSU Polytechnic Institute Department of Wheeled and Tracked Vehicles, for many years. Under his leadership, students are creating projects and taking part in research contests and conferences where they receive medals. One recent achievement is the development and procurement of patent in association with Andrey Zhakov and Ilya Votoropin, students of the SUSU Polytechnic Institute. Our vehicles, in terms of mobile units, move the smallest volume of cargo in the world. We have an extremely high percentage of vehicle damage and breakdown, which is a result of moving on roads with significant surface defects. Experts show that traffic moves along 1km of road with defects leads to transport damages of 80 million rubles per year per automobile, and these losses have increased significantly in the last three years. While a high level of mechanization is supported by contemporary road-building machines made in Russia and overseas, these equipment do not fully satisfy the increasing indicators of quality for building roads. According to experts, the low quality of roads is mainly due to poor compaction of all structural layers - the roadbed and the asphalt or cement top layer. “Air compacting” is the prevalent technology for compacting road as well as construction materials based mainly on compressional strain, because a considerable amount of air continues to be present in the compacting materials. Therefore, SUSU scientists have proposed a novel technology of compacting in which shear deformation and the supposed “air removing” technology are mostly used. “These new technologies and mechanisms principally change the techniques of road building. In place of 3-4 machines, we can now complete the same work with better efficiency and with higher quality, freeing up more than half of the existing machines,” observes Evgeny Kromsky. In the modernized concrete paving machine, developed by SUSU researchers, the working surface of the charge compressor plate is split into a number of sections with varying angles which makes it feasible to produce compacted areas with different degrees of density—for zones of porous materials, for particularly dense material, and for middle-density materials. It is the novel design of the compression plate that guarantees the forced material feed from the hopper in to the working zone of the charge compressor, the steady increase of the material density at the time of pressing, and the grouting and smoothing of the compacted material surface. The new model has shown excellent results. The materials we tested include soil and concrete. Our concrete paving machine makes it possible to work with various kinds of concrete – from slurry to hard-to-deform concrete, which the existing machine cannot handle. Compared to ours, they only work with the kinds of concrete that have a particular amount of water. SUSU researchers received a patent for their concrete paving machine in 2018. In the coming days, the application of this invention will boost the lifespan of roadways and bring down the frequency of road repairs. 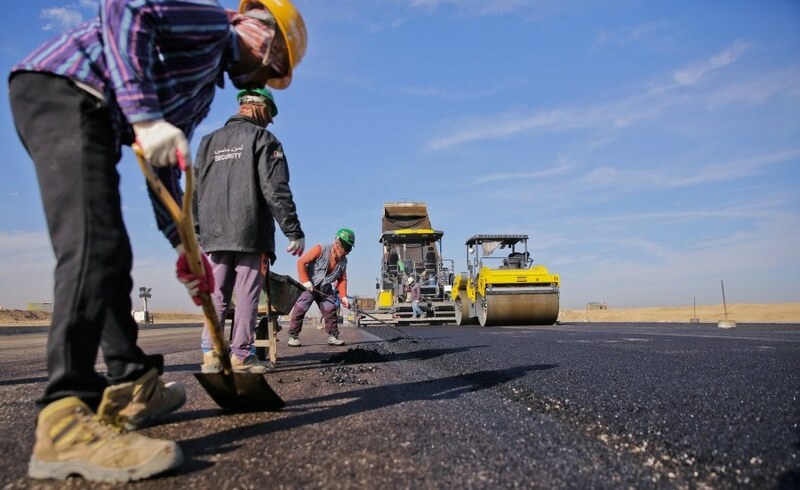 The results achieved through the experiments enable the team to say that with the aid of the developed mechanism, the asphalt will be better compacted. This development fetched Andrey Zhakov the Innovative Russian Engineering Contest of Innovative Projects in Priority Areas of Development for Science and Technology in the mechanical engineering category as well as diplomas and a medal.